← What Kind of Disgusting Person Does This? Photographers want instant gratification. Even as we used to toil for hours in a darkroom, we wanted to see our work right away. In the film days, if it took a day or more to process the five rolls of PlusX we just shot, it was much too long. We ran from the shoot to the darkroom. We wanted it NOW! And that was before the days of 1-hour photo kiosks! That’s probably why Polaroid, then digital, was embraced so quickly. Instant gratification. Serious photographers shoot hundreds and thousands of images per month. We edit the images we shoot shortly after. We process and print the ones we like. We shoot some more. We move on. Once in a while, I look back over old images. And every once in a while, looking at the old work with new eyes, I find exceptional work that I rejected. It’s as if I’ve created new images! 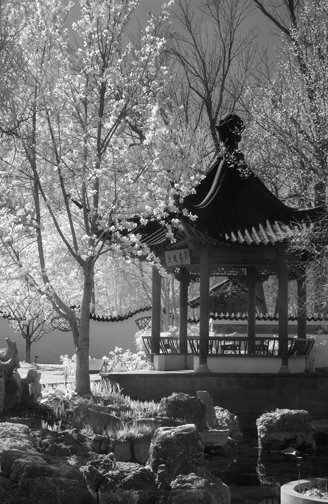 In spring 2008, I started working on a series of introspective Infrared photographs I call Peace Luck Love. 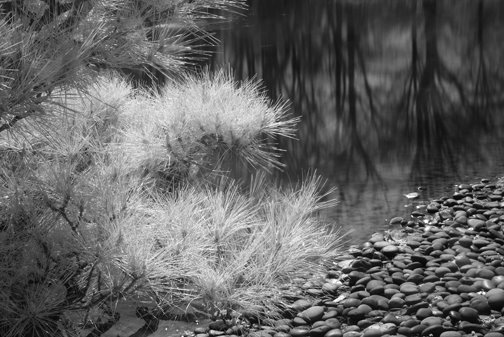 The Infrared heightens the mood of the work. Last weekend, I decided to revisit the discarded images and process a few. I found four additional images in that series that once looked ordinary. With a bit of time behind them, the images popped at me. Instant gratification … all over again. This entry was posted in Art, Artist QuickFix, Infrared, NewWork, Technique. Bookmark the permalink. >Beautiful IR images Jeane.I have also revisied older images and had to ask myself "why didn't I print this".Have fun!